Microsoft has been leading the PC market for many years. However, as tech improvements and more and more competitors are joining in. Businessinsider site listed the top 10 nightmare scenarios that could lead to its business collapsing. This is happening right now. In the third quarter of 2012, PC sales were down 8% on a year-over-year basis worldwide. In the U.S., sales were down 14%. A big chunk of the decline can be attributed to the rise of the iPad. Apple sold 14 million iPads last quarter, which is more than the top PC maker, Lenovo, which shipped 13.7 million PCs. Throw in Apple's 4.9 million Macs, and it's the top computer maker by a mile. This trend has not played out that dramatically in 2012. However, British bank Barclays bought 8,500 iPads at employees' insistence this year. And a recent survey showed that the iPhone has overtaken RIM as the smartphone of choice for enterprises. As more people get comfortable with Apple's mobile products at work, Microsoft will have to worry about them converting their Windows-based computers to Macs at work, too. Gulp. It's still early, but every most data points say Windows 8 is not going to make a dent in the iPad. — NPD says Windows tablet sales were "nonexistent" between 10/21 and 11/17. — It also says Windows sales were down 21% over that period on a year-over-year basis. — Piper analyst Gene Munster was in a Microsoft store for two hours on Black Friday and saw zero Surface sales. — Microsoft reportedly cut its Surface order in half. 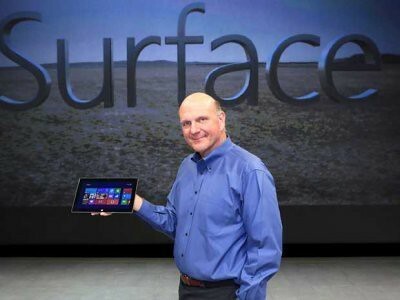 — Ballmer said Surface sales were "modest." Meanwhile, we can't think of any analyst who has cut his or her iPad estimate for the quarter based on Surface sales. In Microsoft's defense, it says it sold 40 million licenses, which it says is out pacing Windows 7. There's a chance analysts are wrong. We're not sure if this happening or not. So far, the early signs are actually positive for Microsoft. It has over 20,000 apps in its Windows app store. Windows 8 is only a month old. At the same time, Microsoft doesn't have a Facebook app for the Surface, and one of the biggest complaints from reviewers was the lack of good apps for Windows 8. Windows Phone has over 100,000 apps, but iOS has 700,000 apps, with 275,000 made specifically for the iPad. This has happened. Despite everything Microsoft has tried in mobile for the last two years, consumers aren't buying it. The latest data from IDC says Microsoft has 2% of the global mobile market share. And the latest phone from Nokia is thick and heavy compared to phones from Apple and Samsung. We don't expect it to be a blockbuster. Microsoft's Office has been a juggernaut. In fiscal 2012, the Microsoft business division did ~$24 billion in sales. Last year, we cautioned, "Office runs only on Microsoft platforms and the Mac. As employees start to do more and more work from non-Windows smartphones and iPads, companies may start to question why they're still buying Office for every employee and upgrading it every two or three releases." 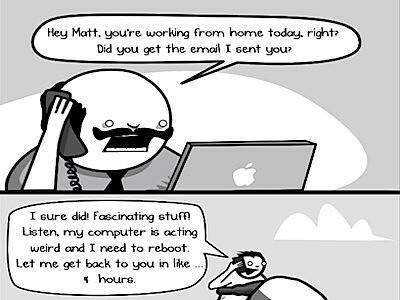 The death of Office, has not happened, though. Despite Google's attempt to create Docs, companies aren't giving up on Excel. 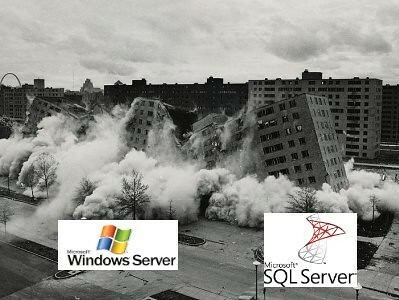 If Windows continues to fade, and if Office starts to fade, then corporations have less reason to adopt Microsoft technologies on the back end like Exchange Server for email, SharePoint Server for collaboration, Lync for videoconferencing and real-time communication, and Dynamics for CRM and accounting. For the last decade, Microsoft's fastest growing business segment has been Server & Tools, which did $7.4 billion in sales last year. 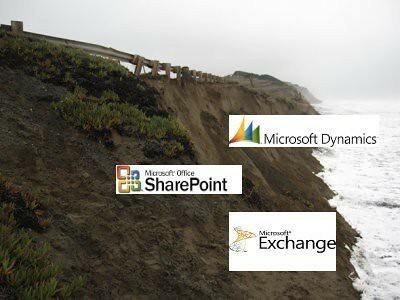 A lot of these sales come because Microsoft business apps — Exchange, SharePoint, and Dynamics — require these products. But as companies stop buying these apps, they will have less reason to buy the Microsoft platform products that run them, and the System Center ($1 billion+) products used to manage them. In a year of relative gloom, Microsoft's Xbox has become a big bright spot for the company. Kinect is great technology, people are still buying the console, and it's been a great entry point for Microsoft to take over the living room. But, for a company like Microsoft, Xbox isn't enough. Microsoft had $21 billion in operating income last year. 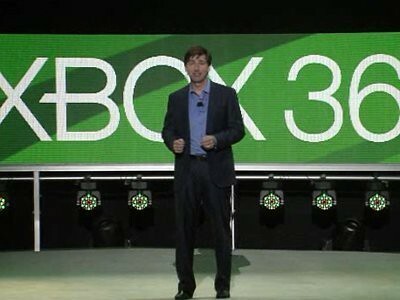 The Entertainment and Devices division, which is home to the Xbox had $364 million in operating income. So, as nice as Xbox is, it's not going to be enough to boost Microsoft if the rest of the business collapses. 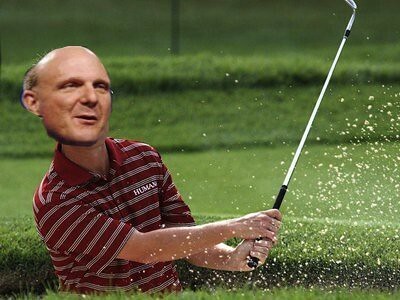 Let's not kid ourselves — it's going to take a sudden, unexpected disaster at Microsoft to get Ballmer out of the company. In 2012, Microsoft had its first ever quarterly loss as a public company because it had to write down the $6.2 billion acquisition of aQuantive. Investors mostly shrugged. If Microsoft posted a real loss people would freak out. But that's going to be nearly impossible in the near term. Is this just a bad dream? Last year, we concluded by saying, "Fortunately for Microsoft, none of this is going to happen. 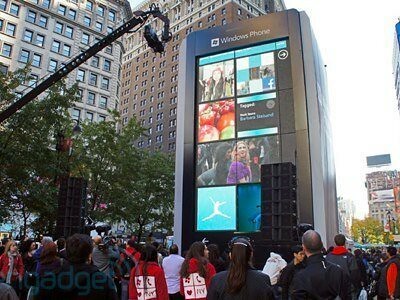 Windows 8 will reassert the dominance of the Windows PC. Office and other business products will remain corporate necessities, and developers will never be able to ignore Microsoft. Windows Phone will become a viable third mobile platform, the Xbox will continue to dominate the living room, and new products will surprise the pundits who thought Microsoft couldn't innovate. Even Bing will finally make a profit someday." This year, it's a lot harder to say much of that. Windows 8 doesn't seem to be reasserting the dominance of the PC. Windows Phone is not a viable third platform. Bing is still burning money. The Microsoft nightmare scenario is actually becoming a reality.